Keep up to date with executive car news, The Chauffeur Group activities and general information, serious or otherwise! With 2018 coming to a close, we at The Chauffeur Group are taking time to reflect on the past year and what we have achieved. We have new innovative systems in place, making it easier for our customers to book and interact with us. We launched our first mobile app and streamlined internal processes. We attended many networking events to learn more about what is changing in our area and how we can continue to market ourselves in competitive executive car services industry. We have actively researched and tested vehicles that may form the future of our fleet. And in 2019 we plan to introduce our first all-electric vehicle offering which will support our corporate customers who are under pressure to reduce their overall carbon footprint. With all these changes taking place, there is one area that we will never change and that is our focus on you the customer. 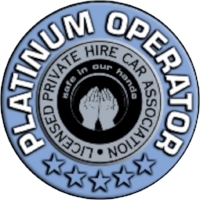 Customer satisfaction is our number one priority, in everything we do, from booking to destination drop off. The fact that we have such highly rated reviews on Google and Facebook speaks volumes but this wasn’t evidence enough for us. To make sure that we are providing the best service we can to both the corporate people who book with us to the end users who travel with us, we contacted as many as we could from 2018 to ask their thoughts on the service we provided, positive or negative. To help us benchmark our service we used the Net Promoter Score (NPS) through Survey Monkey. The transportation industry does not rate highly for NPS, so we approached this with some trepidation. Providing exceptional executive car services is out focus and your feedback is essential in achieving this goal. We needn’t have worried, from the responses we received we scored an NPS of an impressive 82, which is an excellent result and one we should be proud of. We also gained some valuable feedback and ideas which we can work on in 2019 and we want to thank all our customers who took their time to participate in this. If you are reading this and you are a customer of ours, please feel free to provide your feedback on your experience with us by clicking here. 2019 is most certainly going to be an exciting year for the executive car service and business travel industry. We will keep our customers informed of how we continue to evolve and you can rest assured, even with such a high NPS score, we will not be complacent and customer service will always be our top priority. The Chauffeur Group drivers are all highly trained and experienced chauffeurs of our executive car fleet. They are dedicated, impeccably presented and checked by the DBS. Our testimonials show that we provide an excellent executive car service to our corporate and private clients alike. Contact us to book your next executive car journey and rest assured you will travel in comfort and style at an affordable price. Should you drive, or be driven?